Notifications seem to be the new addiction these days. Adults, teens, and kids are finding themselves becoming dependent on technology. The cell phone habit has become epidemic. It’s an easy way to escape from reality. We need to start educating our students on how to become aware of their addictions and how to ask for help. 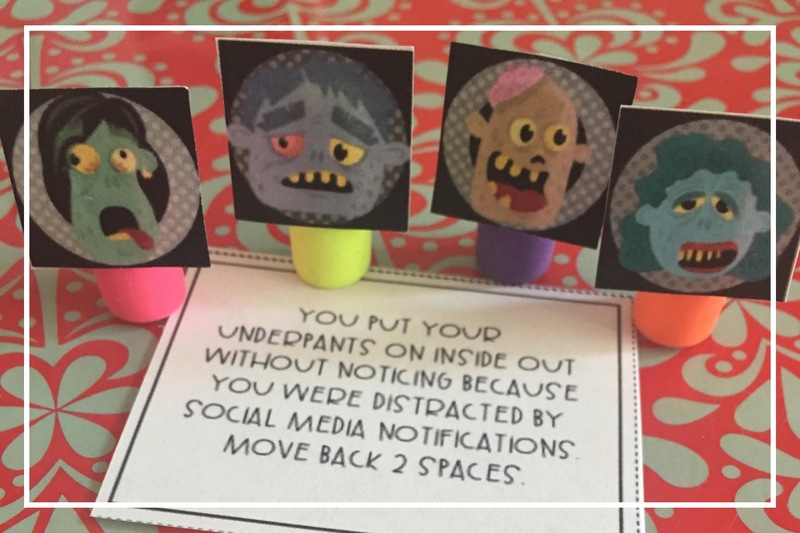 If you don’t want to get caught in this trap, follow these 12 ways to escape technology addiction and avoid becoming a digital zombie. Set time limits on your usage. 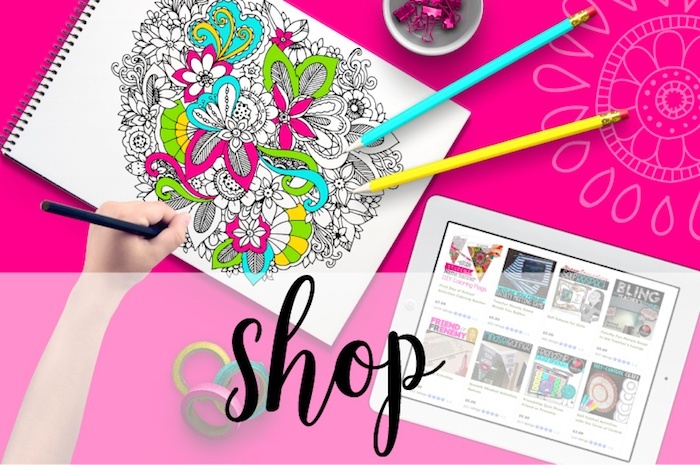 Create “digital free” days or weekends. Be honest about your usage. Find a support person to check in on you. 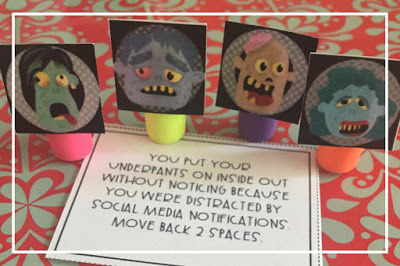 Delete notifications or set them to silent. Limit the number of apps that you download. Ask for help if you feel it getting out of your control. Use an alarm clock instead of your phone to wake you up. Create a time log of your usage to see how you are doing. Give yourself goals for completing other things before getting online. Throw a “no technology allowed” party. Create challenges with your friends to see how long you can go without technology. 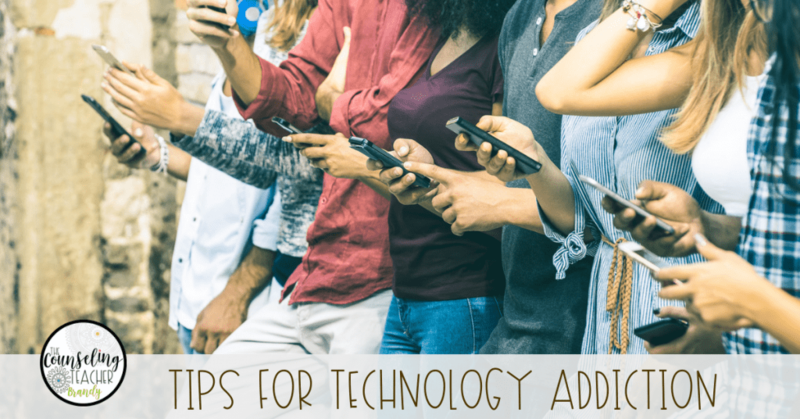 If you can add these habits into your life, you are more likely to have a healthy relationship with technology. Download the tip sheet for free. I like to use games to introduce and reinforce topics that I want students to remember. 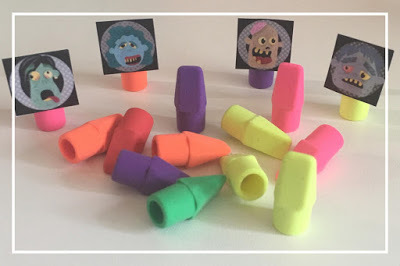 A great way to use this game is in centers or small group lessons. The following game is for 2-4 players. 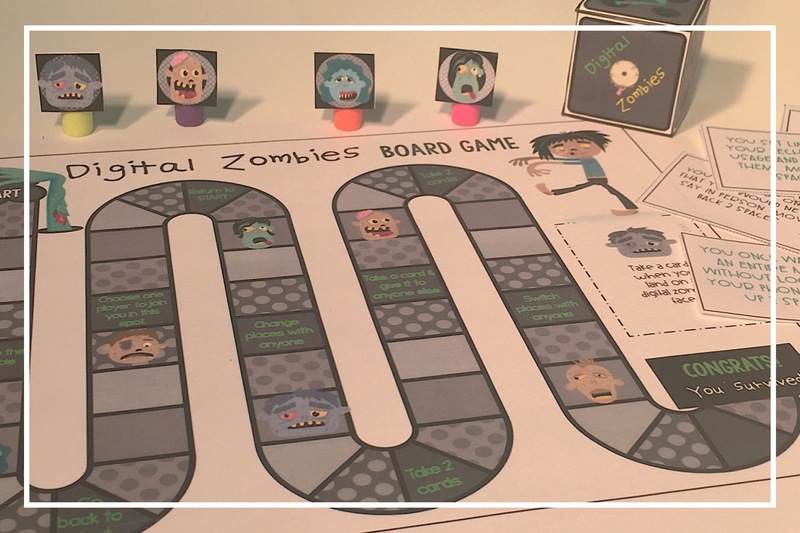 The Digital Zombies Board Game has 48 fun scenario cards to help students recognize the signs of technology addiction. Take a card if you land on a zombie face! Attach game pieces to erasers with glue for a 3-D game piece. 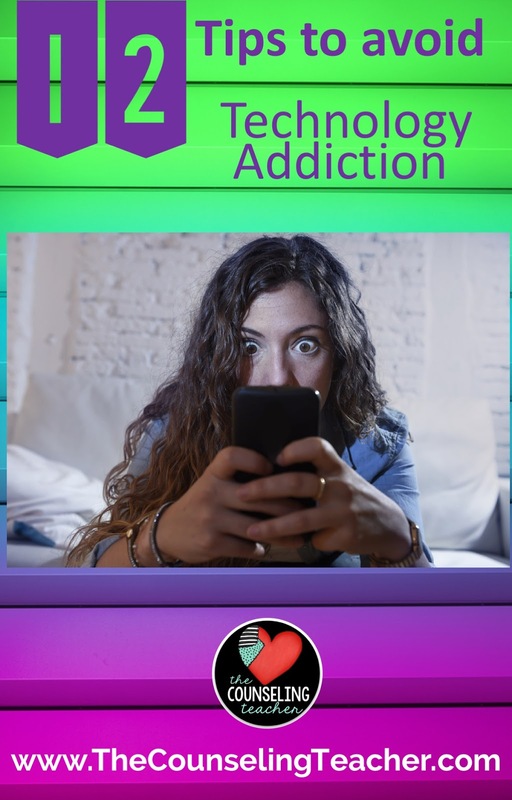 Leave a comment with your tips for avoiding technology addiction.